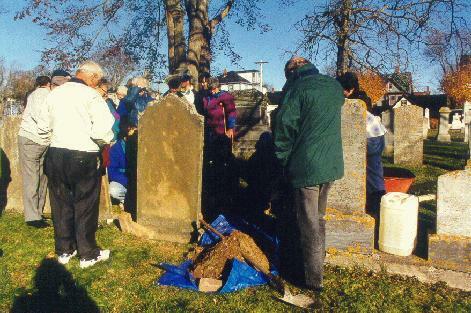 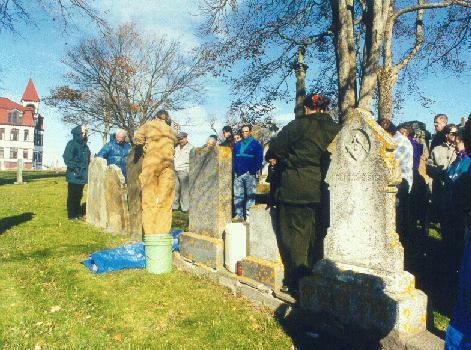 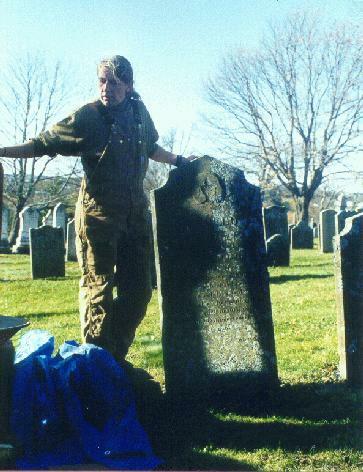 On November 5, 1999, about 50 interested people, ranging from family historians to monument dealers, attended a day-long workshop held by the SSGS in Lunenburg. 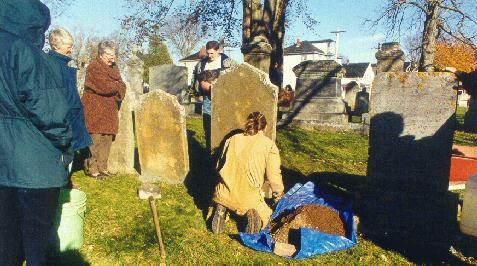 This workshop was sponsored by NS Department of Tourism and Culture and the Town of Lunenburg. 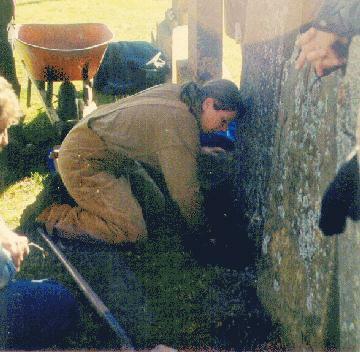 Deborah Trask, Curator of Buildings, Museum Services, and Heather Lawson, Certified Restoration Stone Mason were the commentators and on-site demonstrators.